The City of Ottawa is urging the province to look beyond the Greater Toronto Area as it seeks solutions to Ontario's affordable housing shortage. 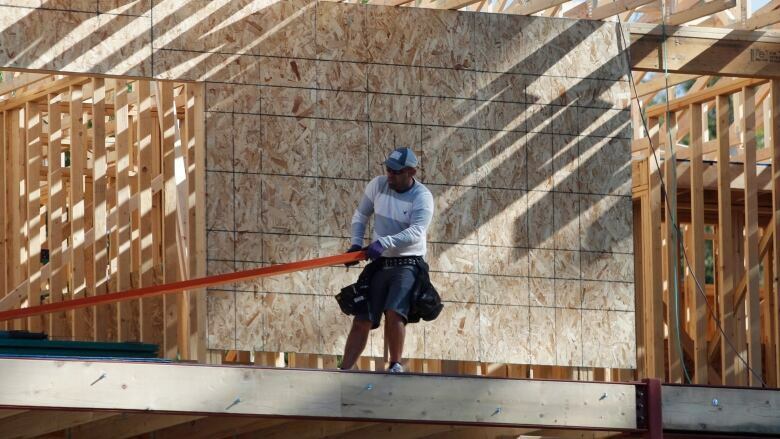 The Progressive Conservative government is currently developing an action plan to encourage more home building, thereby increasing the province's housing supply. "We are going to remove barriers and red tape that is limiting the supply of housing and driving up costs," said Municipal Affairs and Housing Minister Steve Clark as a recent round of public consultation wrapped up. But the chair of Ottawa's planning committee, Coun. Jan Harder, cautioned that the impediments facing home builders in Toronto aren't necessarily the same ones facing builders in other cities. "One of the things we're asking for is losing that Toronto-centric focus," Harder said Thursday. For example, real estate prices in the capital have been relatively stable and affordable compared to the Toronto market, according to Ottawa's chief planner, Steve Willis. Instead, Ottawa's challenge lies in the rental market, where there's high demand but very few new units being built. "People at low income levels are competing with people at higher income levels for rentals, and they're struggling as those rates are going up," said Willis, who penned a letter to the province outlining Ottawa's input. The province did ask for solutions to encourage more housing classified as the "missing middle" — low-rise apartments and town homes priced somewhere between highrise apartments and detached homes. Mid-rise apartments are unpopular with builders because of their high cost ratio, Willis said. The province should consider waiving land transfer taxes or offering incentives to encourage rental housing, the city suggested in its letter. "There's no incentive the city could offer that would add up to very much money to incentivize certain types of housing," Willis pointed out. Ottawa also lacks condos and apartments suitable for families, Willis said, and has little power to compel builders to provide them. "We can't dictate through city planning what people do within the walls of their building," he said. To fill that gap, the province could allow cities to force builders to provide a certain number of three-bedroom apartments, for example, in exchange for zoning approvals. The city would also like to see the province speed up building permit approvals by adding to the shallow pool of qualified home inspectors. Why not work with colleges on their training programs, Willis suggested, or retrain workers from other construction-related industries? "I think there is no one magic bullet to this problem," he said. "It's very complicated and it needs movement on a lot of fronts."